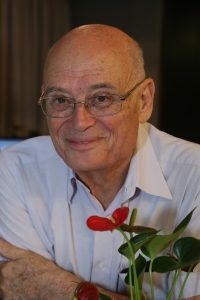 Professor Amos Korczyn was past Chairman of the Department of Neurology at the Tel-Aviv Medical Center from 1981 until 2002, and the incumbent of the Sieratzki Chair of Neurology at Tel-Aviv University, 1995-2010. Professor Korczyn has an interest in neurodegenerative diseases. He has authored or co-authored over 600 articles. He has edited several books and Special Issues in Journals, and is Regional Editor of the Journal of Alzheimer’s Disease. 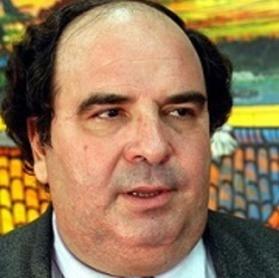 He is or has been an Editorial Board member of 20 international journals, and organized several neurological conferences, mainly in the field of dementia, Parkinson’s disease and other degenerative brain disorders, as well as CONy – the International Congress on Controversies in Neurology, and has organized the Mental Dysfunction in Parkinson’s disease congresses since 1993. Professor Korczyn served on advisory boards in several drug discovery programs. Professor Shai Efrati, MD is the Director of the Sagol Center for Hyperbaric Medicine and Research, Assaf-Harofeh Medical Center, Israel and Professor at Sackler School of Medicine and the Sagol School of Neuroscience of Tel Aviv University. The center, under Prof. Efrati management, has become one of the largest hyperbaric centers worldwide, currently treating more than 200 patients per day. 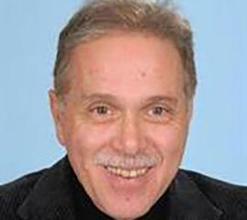 Prof. Efrati is also the director of Research & Development of Assaf-Harofeh Medical center, affiliated with Tel-Aviv University. Taking the two passions/positions together Dr. Efrati has initiated a research program focusing on the regenerative neuroplastic effects of Hyperbaric Oxygen Therapy (HBOT). In the first clinical studies it was demonstrated that HBOT can induce neuroplasticity in post stroke and Traumatic Brain Injury even years after the acute Insult. The important clinical results and physiological understanding gained from those studies have led to fruitful ongoing multidisciplinary cooperation on the regenerative effects of hyperbaric oxygen in various types of brain injuries. In recent years, the research program was further expanded to include additional pathophysiological aspects of the so called “expected” age related functional decline. Gerry Leisman is Professor of Neuro and Rehabilitation Sciences and Research Fellow in the Faculty of Health Sciences at the University of Haifa, Director of the institute for Brain and Rehabilitation Sciences and Professor of Restorative Neurology at the University of the Medical Sciences in Havana, Cuba. He will be discussing the the capacity of the fetus to learn and memorize examining the high activity in primary cortical areas and low activity in association areas. Clinically relevant data on cognitive functions of the fetus could be important for the management of fetal pain and treatment of preterm infants as well as for improved neurodevelopmental outcome of fetuses from high-risk pregnancies. 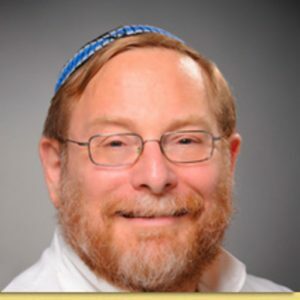 Aron S. Buchman, is a professor in the Department of Neurological Sciences at Rush University Medical Center in Chicago. He received a career development award from the NINDS/NIH from 1994-99 for his work that investigated motor control and motor unit recruitment. Buchman was a research fellow at the NeuroMuscular Research Center at Boston University from 1992-95. He was a visiting scientist in the Department of Applied Mathematics at the Weizmann Institute of Science from 1995-97. Buchman’s research interests include the effects of aging on the motor system. 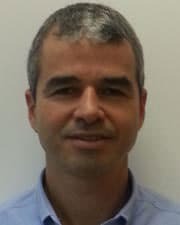 More recently his research has focused on identifying the structural basis of clinical frailty in older persons, exploring the pathologic indices linking risk factors to the development of frailty so as to provide a conceptual basis for the development and testing of interventions to reduce the burden of this common syndrome in older adults. 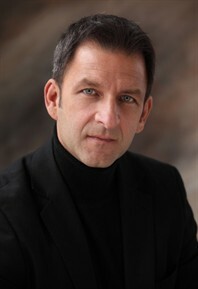 Robert Melillo, the leader of the symposium is a well known author having co-written “Neurobehavioral Disorders in Childhood; An Evolutionary Perspective”, as well as the popular books, “Disconnected Kids”, “Reconnected Kids” and others. The special keynote symposium discuss neurodevelopmental issues that include the effects of retained primitive reflexes in childhood and adults, the effects of hemisphere specific training, The employment of the nervous system to repair itself in restorative neurological applications that include autism spectrum disorders, addictions, and cognitive functions. Calixto Machado is Professor of Neurology and Head of Clinical Electrophysiology at the Institute for Neurology and Neurosurgery in Havana, Cuba. The keynote lecture will review what we know about the electrophysiology of consciousness and its disorders, the nature of inter-regional communication in the brain and the effects on the brain of the mental imagery of movement and its effect on both the motor system, cognition, and conscious awareness in individuals in persistent vegetative and minimally conscious states. those healthy adults. The new findings could help us identify patients who actually have some awareness as well as improve their clinical assessment.